A few days ago I had a meaningful and fun conversation with international Tanzanian model, Miriam Odemba. If you have Instagram you might want to pop on over and see what she is up to, as she is always inspirational, motivational, fun, and has the kind of beautiful smile that makes you want to smile as well! Ms Odemba has agreed to answer some questions for us through this interview, as we celebrate women by showcasing phenomenal women who pursue their dreams and encourage others to do the same. S: Hi! Please tell us your name and a little bit about where you are from. M: My name is Miriam Odemba and I come from Tanzania. S: First of all, I want to congratulate you on your success as an international model! What are some countries where you have modeled? M: I’ve worked in Tanzania, of course, but in a lot of countries in Africa for various Miss competitions. I’ve been to Angola, South Africa, Senegal, Nigeria, Namibia, Kenya, Uganda. That’s mainly in Africa but I worked as well in China, in the United States with Elite Model Agency, in Europe, (Italy, France, Germany, Switzerland, U.K, Portugal), and of course in the Philippines for Miss Earth. I hope to visit more countries because my career is not finished yet. S: Wow! Having seen so many places must have been very exciting! So in your travel and experience within the modeling industry, what are some differences you have noticed in how modeling is viewed in Tanzania and in other countries? M: In Tanzania we need to have more things (in modeling). We need to develop this business. We don’t have that many modeling agencies. It is difficult to go international for models. This is why on long term I want to open my own model agency. Countries like Sudan, Senegal, Uganda they have more models. This is part of the Fashion Industry development. I think Tanzania has a role to play. We need to work hard to become international. Models are Ambassadors of their countries. S: Well, let me ask you this: what was it like 20 years ago when you were one of the very first models there, and what changes have happened until now in 2018, for modeling in Tanzania? M: I’m still a legend because I opened the door for next generation. There are a lot of changes because right now the young generation is more on social media and it is a good way to get some awareness. Before, when I was there (in Tanzania) it was only newspapers. Now you can be famous via Instagram. There are a lot of opportunities for African models because the African market is developing. The industry has started to recognize African models. Naomi Campbell, Iman, Tyra banks started the move but now there are many African models (models of African descent, and directly from Africa). M: What I’m doing with this initiative and with my foundation, Run with Odemba, is trying to give education for our young generation, and to help the Maasai people. I think we have a treasure in our country, we have a specific culture and we need to bring that to the world. S: What has been the response from the community in Tanzania in regards to your health initiative? M: Run with Odemba is a very good project. As for me, I love to exercise. I think it is both very good for health and to feel fine. That is why I’m trying to transfer that philosophy to the young generation and I think it should be a part of education. For myself, I’m a trailblazer and a warrior. I’m unstoppable! Exercise is key for human beings. It should be a habit from the beginning. We need infrastructure as well. In Brazil for instance they have a lot of places for training. We don’t have that in Tanzania. I think it is very important to have a sport culture in Tanzania. 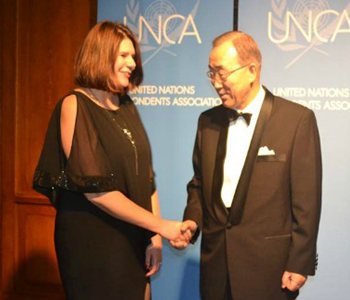 Once more, models they represent an image, but they are as well ambassadors of projects and countries. Running with Odemba first edition was a good success, but I intend to develop it in the future; maybe with partnerships with schools. S: So, what are your thoughts on being a woman and being in shape? Do you think it matters and why? M: As a woman you need to love yourself. To be proud of yourself. Wake up in the morning and think you are beautiful. It is not only about being a model but being a woman. If you do that every morning every day you will be grateful. I’m not a perfect person but when you believe in yourself you become perfect. S: This might be one of the tougher questions for you, because you love people, but I must ask: if you were to name your top top top most influential woman and most influential man who you see as role models, who would you name? M: Oprah Winfrey because she has a strong speech, and she always gives good advice. For men I say, Barack Obama, because he was the first black president of United States and …he’s classy! S: If you could tell your younger self anything, what would it be? M: I would encourage myself to study hard and when I get a chance not to waste it, Education is the future for everything, and most of all, I would advise to appreciate everything! M: Respect, appreciate, and love yourself. We sincerely thank Miriam Odemba for spending some time with us here at World Moms Network! We wish her all the success possible! 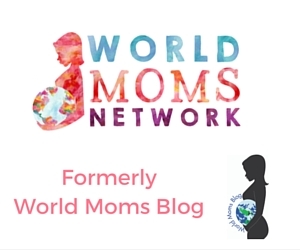 This is an original interview by Think, Say, Be for World Moms Network. I am a mom amongst some other titles life has fortunately given me. I love photography & the reward of someone being really happy about a photo I took of her/him. I work, I study, I try to pay attention to life. I like writing. I don't understand many things...especially why humans treat each other & other living & inanimate things so vilely sometimes. I like to be an idealist, but when most fails, I do my best to not be a pessimist: Life itself is entirely too beautiful, amazing & inspiring to forget that it is! Ms Odemba is truly an inspiring women and the youth must draw a lot strength from her. Questions that were asked too were real good ones which have brought out the essence of her hard work.